About the Book:When nuclear waste is stolen by jihadists in the middle of the night from an unguarded New York City hospital, the police, in a frantic race against time, call in the FBI. Luke Stone, head of an elite, secretive, department within the FBI, is the only man they can turn to. Luke realizes right away that the terrorists’ aim is to create a dirty bomb, that they seek a high-value target, and that they will hit it within 48 hours. 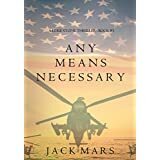 About the Author: Jack Mars is author of the bestselling Luke Stone thriller series, which include the suspense thrillers ANY MEANS NECESSARY (book #1), OATH OF OFFICE (book #2) and SITUATION ROOM (book #3). Jack loves to hear from you, so please visit www.jackmarsauthor.com to join the email list, receive a free book, receive free giveaways, connect on Facebook and Twitter, and stay in touch! 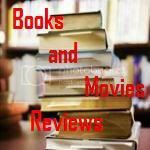 My Review: This is one of the best thrillers I have read this year. In a Conspiracy Theory style, the plot is intelligent and will keep you hooked from the beginning. Our hero (Luke Stone) is an special agent from a department of the FBI and although he is trying to slow down, he is called once again to action, to investigate the disappearance of nuclear waste from a New York hospital. And the story develops from there in a fast pace. A lot of twists and many adventures later, he finally uncovers the naked truth and he no longers know whom to trust. The author did a superb job creating a set of characters that are fully developed and very much enjoyable. We cheer for our hero in every turn of the pages. The description of the action scenes transport us into a reality that is almost like sitting in a movie theater with surround sound and 3D presentation. Overall excellent plot, I can hardly wait to start reading the sequel of this book, named "Oath of Office". I recommend this book to the permanent library of any reader that enjoy a well written thriller novel. You will not be disappointed.